Bogged down by your current locking system? Well, it might be time to get them professionally checked and assessed. Old and worn out locks are not just hard to operate but also compromise the overall security of the premises.To be frank, setting them right and operational might not be a DIY task. It may put your safety and security at risk. It is advised to call out a professional to get the job done. At Safe Lock Solutions, we specialize in providing customised lock repair and installation services. Our trained and certified engineers will visit your premises and assess whether you need a repair or complete overhauling of your current security system. Our engineers will complete the job in a professional manner, and at minimal cost and time. 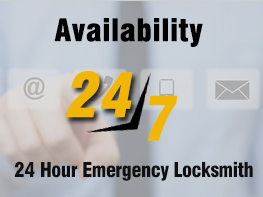 Our endeavour is to provide guaranteed and fully insured lock installation and repair solutions.Equipped with state-of- the-art technology and trained engineers, we provide prompt and reliable services for any and every type of job. Our certified professionals don’t just install and repair your locks quickly and correctly, but also provide peace of mind – to you and to your family. Our team of certified locksmiths has vast knowledge and hands-on experience to, when it comes to installing and repairing all major lock brands, models and types. Our mobile engineers are fast and reliable, and are equipped with all the tools required to install or repair your locks. We understand that our responsibility extends well beyond just fitting locks. We also take the onus of ensuring that they function properly and consistently for a long period of time. For this reason, wepre-assess the condition of the hinges and rubbers, whether or not the door and windows strike properly against each otherfor maximum alignment. Give us a call at 0151 515 0123and find out how we can help solve your security needs. We operate 24/7 for your convenience, and happy to offer a free quote over the phone.